खबर लहरिया » Are you a handpump mechanic? It’s a common sight to find a handpump not working in villages – but it’s not so common to see a woman repairing it, that too a Dalit woman! We met 55-year old handpump mechanic Shivkalia in Raipura village of Chitrakoot district, who has been called upon to travel far and wide to repair handpumps, for the past 23 years. Shivkalia began this job after just 10 days of training, that was given by an organization called Vanangana. ‘We used to be scared before, we never used to be able to lift this metal. We went for the training with this fear. 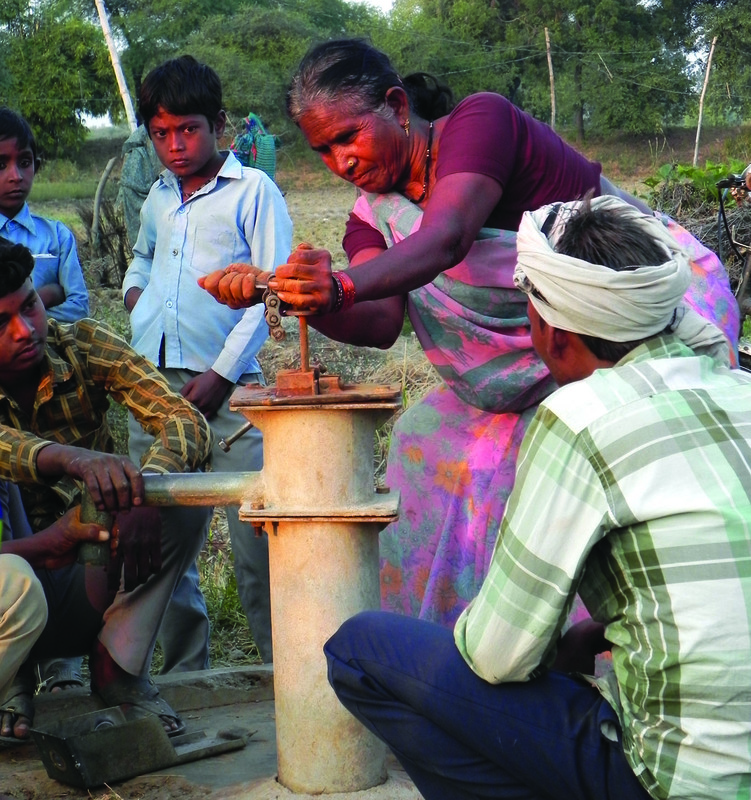 There were 2 inch thick pipes, which we stood and waited to be handed from one person to the other, and then we had to fit them into the handpump.’ Shivkalia says that if women are given the opportunity, there’s nothing that they can’t do. The amazing thing in Chitrakoot is that people have started calling Dalit women to repair their handpumps, but till today, will not drink water served by them.